Davey KM., et al. (2006) J Med Genet. 43(5):385-93. Mokranjac D., et al. (2003) EMBO J. 22(19):4945-56. DNAJC19 polyclonal antibody (A01), Lot # 060608JCS1 Western Blot analysis of DNAJC19 expression in HL-60 ( Cat # L014V1 ). 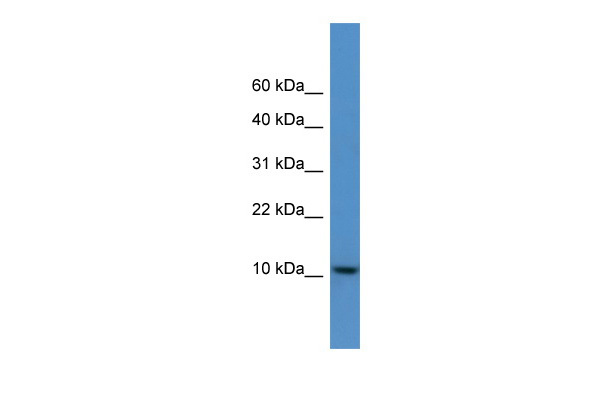 Western Blot analysis of DNAJC19 expression in transfected 293T cell line (H00131118-T01) by DNAJC19 MaxPab polyclonal antibody.Lane1:DNAJC19 transfected lysate(12.76 KDa).Lane2:Non-transfected lysate. DNAJC19 MaxPab polyclonal antibody. 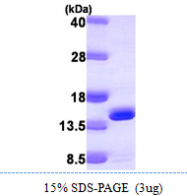 Western Blot analysis of DNAJC19 expression in K-562. Western blot analysis of DNAJC19 Antibody (Center) (AP17286PU-N) in mouse kidney tissue lysates (35 µg/lane). DNAJC19 (arrow) was detected using the purified Pab. Preparation: Recombint protein was captured through anti-DDK affinity column followed by conventiol chromatography steps. Sorry for the inconvenience, maybe you should bookmark the right store for your next visit. Acris Antibodies GmbH has now officially been renamed to OriGene Technologies GmbH. Nevertheless, our address and all terms remain the same. Please proceed with selecting and ordering your products as usual or contact us via info-de@origene.com for any additional questions.